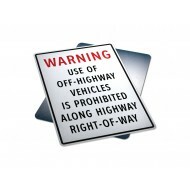 Advance Warning for miscellaneous changes in the road or traffic ahead, this sign is used to inform drivers or pedestrians to expect no off hwy vehicles being permitted. 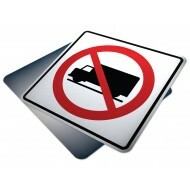 The advance warning may be a single sign or a series of signs beginning up to several kilometres before the approaching change. 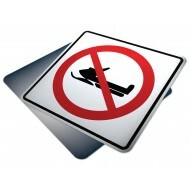 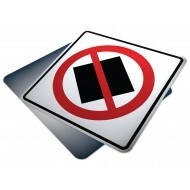 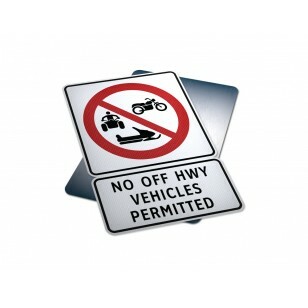 Text Reads: "No Off Hwy Vehicles Permitted"
Purpose: Trucks Prohibited signs indicates the prermitted or prohibited use of ..
Purpose: Snowmobile Prohibited signs indicates the prermitted or prohibited use..
Purpose: Dangerous Goods Prohibited signs indicates the prermitted or prohibite..